Over the years, the Mobile Outrech Clinic, formerly HOQI (Health Outreach Quality Improvement Program), has seen many dedicated and passionate undergraduate students. These students, critical to our program, are well-prepared to continue their journey in medicine. Many of our students shift from our program into their first years as aspiring physicians. Jennifer joined the Mobile Outreach Clinic in January of 2015 and volunteered until May of 2016. 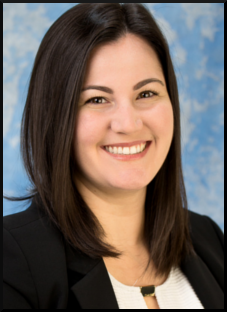 During her time with MOC, she fondly remembers forming relationships with patients, especially those who would come back on the same clinic day for follow-up visits. “I enjoyed getting to know the patients and their families while helping them with their medical concerns,” said Jennifer, “Calling the patients to follow up from week to week allowed me to get to know them better and make sure they received the best care possible from our clinic. 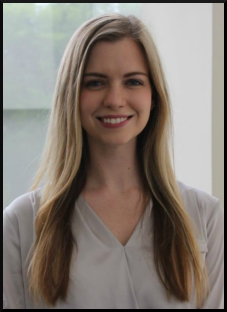 There are a handful of patients that I can still remember to this day.” She has completed her first year of medical school at the UF College of Medicine. She continued to volunteer in the HOQI program at the Equal Access Clinic in the evening. 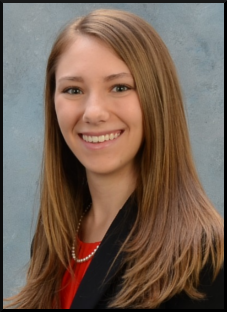 She enjoys shadowing in every specialty she encounters and especially loves internal medicine. Alex joined as a sophomore in Spring of 2013 and volunteered until Spring 2015. During her time at the MOC, she started to realize that she was more interested in why people got sick than how we should treat them. After graduating from the University of Florida, I went to Johns Hopkins University for her MHS and studied social factors in health. 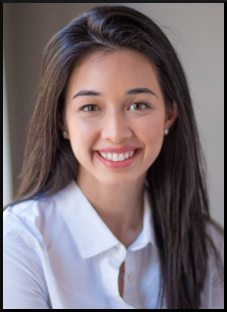 She now researches community nutrition and the social and economic factors that influence the management and prevention of chronic disease – all inspired by my exposure to our patients at the MOC! She is currently a research project coordinator at Duke University in Durham, NC. Looking back, she fondly remembers speaking Spanish with Jorge, learning about the tests we perform from Nurse Ginny, and coordinating the patients in the clinic. 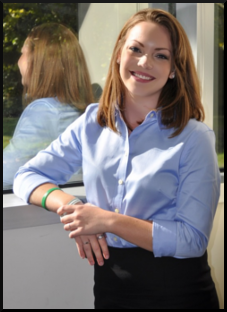 Caitlin joined MOC as a Junior in 2014 and stayed on until 2016. She loved all of the people I got to work with – the patients, providers, fellow students, and staff were the best! “I still think about and wonder how many of my patients are doing now with their health, hobbies, and families,” said Caitlin, “The providers, students, and staff I got to work with are hands down some of the most amazing people I have ever met, and whom I now have the pleasure of calling my friends, classmates, and future colleagues.” Caitlin is currently in her first year of Physician Assistant School at the University of Florida. She is currently learning from providers that also volunteer at the Mobile Outreach Clinic! Popy joined the Mobile Clinic in the Summer of 2013 and volunteered until the Spring of 2014. She remembers the staff and all of their care for the work they do. “Working with them was always such a pleasure and learning from them,” said Popy. 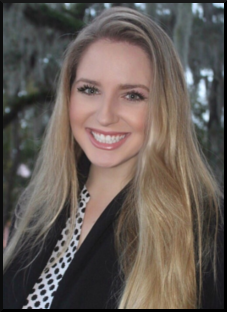 She recently graduated from the University of Florida with her Master of Public Health degree and now work at the University of Florida as well as a Clinical Research Coordinator. Jeremy joined MOC during the Spring of 2015 and volunteered until the Spring of 2017. His fondest memory is, during his first semester with MOC, he had an unusually slow day on a Friday, which are known to be busy. To pass the time before a new patient arrived, his shift started to play Heads-up with the volunteers, providers, and Jorge. “It was such a fun and memorable time where we were able to bond and get to know each other outside of work,” said Jeremy. 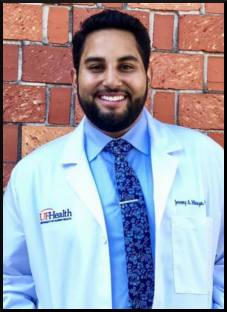 “There was a part where Sandy threw herself on the floor to act out a charade that left the whole bus laughing!” He is currently a 2nd year PA student at the University of Florida and in his clinical year. Ryanne started volunteering with MOC during the Fall of 2015 and stayed on until the Spring of 2017. She fondly remembers one of her patients that was diagnosed with Diabetes at his visit to the clinic. “I remember how confused and overwhelmed he was about all the information coming at him that day, and in that, I saw an opportunity to make a real difference in his life through Care Coordination,” said Ryanne. “In this experience, I was given the opportunity to support someone in tangible ways through a difficult time in their life. This was meaningful beyond words and fueled my passion for helping others. 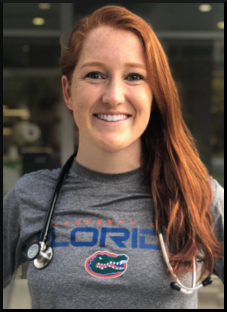 I hope to take the lessons I learned at the MOC with me into medical school and into my career as a physician.” She is currently in her second year of a Masters of Medical Sciences degree here at the UF College of Medicine. 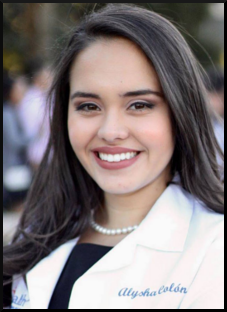 She volunteers in a research lab and with the Alachua County Crisis Center as a Crisis and Suicide Phone Counselor She is currently applying to medical school in the hope of matriculating in Fall 2019. Mary Beth started volunteering with MOC in the Summer of 2014 and volunteered until the Spring of 2016. Her favorite memory of MOC involves sitting at the computer in the bus, listening to the back-and-forth between the attending and resident. “It provided insight into a culture I had never seen,” said Mary Beth, “and learned a lot of clinical knowledge along the way. They were also happy to answer my questions, making the bus a good learning environment for students at all levels. 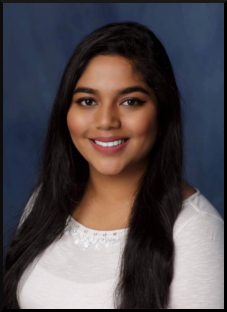 In our downtime we would joke and get to know each other better, making our team feel like a family.” She is currently attending the University of Florida College of Medicine. Janet started volunteering as a Sophomore undergraduate during 2015 and volunteered for a year until 2016. Looking back at MOC, she remembers her first patient she ever saw on the bus. “[That patient] was the one who led me to eventually pursue dentistry! She came in with an abscess and we couldn’t do anything for her, so we advised her to go to a local non-profit dental clinic. I remember being very concerned for her and in care coordination I was anxious when I couldn’t reach her to see if she had gotten the issue taken care of or not. 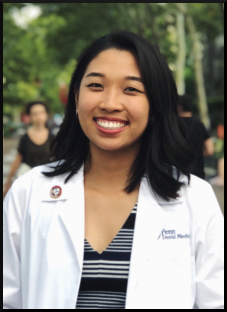 It opened my eyes to the mental and physical stresses of oral health diseases, especially for the undereducated and underserved populations.” She is currently in her first year as a Dental Student at the University of Pennsylvania School of Dental Medicine. Christina started volunteering as a Junior during Fall 2013 and volunteered until Spring 2015. “I truly enjoyed every day that I spent with MOC,” said Christina, “so it is hard for me to pick a favorite memory! Looking back, one of my greatest memories was when we participated in the Migrant Health Fair. It was amazing to see so many volunteer providers and students collaborating to help the people who came seeking care. 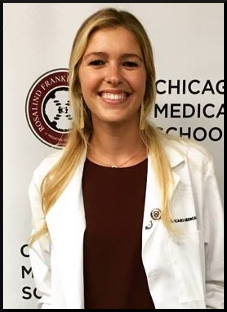 It was definitely an experience that showed me the value of working as a team and giving back to the community.” She is currently a fourth-year medical student at the University of Florida and returned to MOC as a volunteer provider!